It was rumoured a while back, but now Variety have confirmed that we are indeed getting a Justice League twofer in Rick Famuyiwa’s (Dope) The Flash solo movie, with the Scarlet Speedster (Ezra Miller) being joined by Ray Fisher’s half human/half machine Cyborg. There’s no word on how large his role will be in the movie, but this is further indication that Warner Bros. are barrelling forward with making the DCEU feel like a sprawling, living, breathing universe, despite the critical drubbing Batman v Superman and Suicide Squad have received. It could also very well be an attempt to push the relatively unknown character into the spotlight following in his appearance in next year’s Justice League, giving main stream audiences a better sense of the character ahead of his own solo movie in 2020. 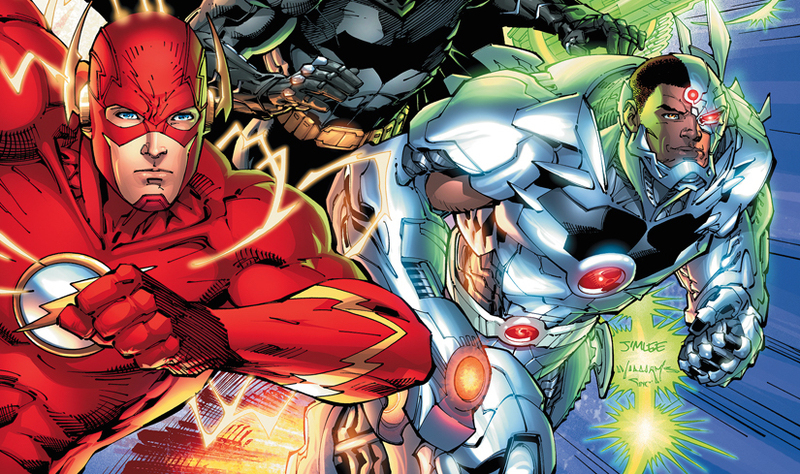 Given that the DCEU version of The Flash’s alter ego, Barry Allen, seems to be in the hacker/super scientist mould, teaming him with Cyborg, whose creation we saw in Batman v Superman, seems like the logical choice. While The Flash begins shooting this year in London, no official realise date has been given, but it si expected to come our way sometime in 2018.